Today, customers have a choice of channels through which they can transact, communicate, interact and complain. This contemporary landscape opens up new opportunities for businesses. At the same time, it brings challenges in the form of channel integration and management and a need to understand new forms of customer behaviour and the changing drivers of customer value. 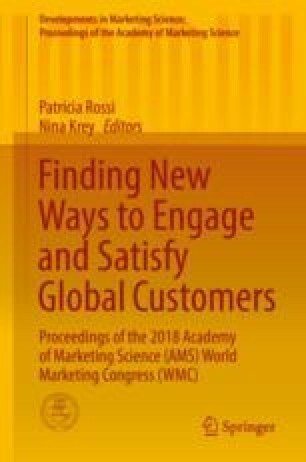 Against this backdrop, this study presents an integrated conceptual framework that provides theoretical and managerial guidance on how service companies can create customer value through multichannel service delivery. The authors synthesize extant knowledge to develop a framework that identifies the drivers, building blocks and moderating variables. Insights are drawn from the multichannel literature and combined with qualitative data from senior managers responsible for the development of the multichannel strategy for major players in the French insurance industry. In so doing this study contrasts markedly with previous studies which have focused on goods and manufactured products, and it addresses the need for greater insight into the service sector. The study arrives at the following conclusions. First, support and further clarification is provided for the drivers of multichannel strategy: company, customer, channel relationships and environment. Second, the building blocks of perceived customer value, customer effort, service quality multichannel integration quality and trust, are identified. Third, the relevance of the building blocks is found to vary according to the modifiers: complexity of the product and type of activity to be performed. Finally, the integral role of big data is acknowledged. This study responds to calls for strategic studies to explore how companies can address the challenges of the new multichannel environment; it also recognizes the difficulties in capturing the diversities in multichannel strategies from within companies, taking a company perspective.